1. Watch this video. Several times. Download it if that makes repeat watching easier. 2. 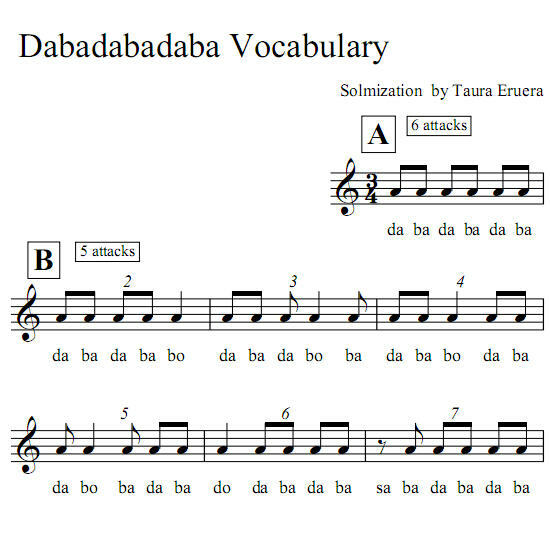 Download the Dabadabadaba 6A 5A Rhythms pdf and keep it on your computer screen or print it off for handy reference. 3. Talk along with the video. As many times as you require. 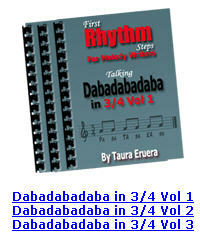 Want more than a light introduction to 6A and 5A dabadabadaba rhythms? 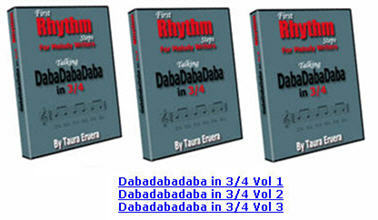 A good reference are the Dabadabadaba in 3/4WorkBooks Volumes 1-3 and the Dabadabadaba in 3/4 DVD Volumes 1-3. They are currently available only as part of the Rhythm Membership at melodywriters.com.